In Sedona, Arizona, locals are surrounded by spectacular natural beauty, including the iconic red rock formations often featured on postcards from the area. Physicians in Sedona often have opportunities to establish relationships with their patients. The patient population is comprised of residents (many of whom enjoy active lifestyles year-round, thanks to Sedona’s mild climate), as well as tourists and outdoor adventurists drawn to the region. Many residents of Sedona are transplants from other parts of the country. Blame “red rock fever” for this: People come for vacation, fall in love with the area’s stunning natural beauty and opportunities for outdoor recreation, and decide to make Sedona home. Ed Eppler, M.D., an emergency medicine physician who attended the University of Washington School of Medicine and completed his residency at Indiana University School of Medicine, landed in the small city of Sedona after deciding to become a traveling locum tenens physician. In addition to working on his own, Eppler also worked with the staffing agency Envision Physician Services, which placed him in Sedona for one of his first assignments. In Sedona, Envision Physician Services operates Verde Valley Medical Center, a free-standing emergency department. The Cottonwood campus of Verde Valley Medical Center, also operated by Envision, is just a short distance away, and is a Level IV trauma center. On the Sedona campus, which has laboratory, radiology, orthopedics and primary care outpatient clinics, in addition to the emergency department, physicians also have access to a TeleStroke program, through which patients can be remotely “seen” by a neurologist from the Mayo Clinic. There is also no shortage of exciting employment opportunities. Envision actively recruits board-certified or board-eligible physicians in emergency medicine, family practice and internal medicine for the emergency department on the Sedona campus. According to Martinez, the staffing agency offers a variety of opportunities across more than 1,000 centers, including full-time employment, independent contracting, and locums capabilities, which is how Eppler found Envision, and subsequently, Sedona. When Martinez speaks to prospective candidates for the Sedona campus, he emphasizes that the lower-volume environment (in comparison to highly trafficked urban medical centers) allows for stronger relationships between physicians and their patients—not to mention the high quality of care physicians can provide to each person who walks through the medical center’s doors. With a median age of 57 among the core population, plus an estimated 3 million tourists exploring the area each year, physicians play a critical role in keeping both local and visiting populations healthy and safe. Many people also gravitate to Sedona to experience its mediation and spiritual offerings, as Sedona was considered sacred land for Native Americans, according to Wesselhoff. The town offers meditation and spiritual retreats and world-class wellness spas quietly tucked alongside institutions steeped in small-town charm. The most meditative activity is sometimes as simple as stepping outdoors for a few moments. “When you’re surrounded by beauty and nature, it puts everything in perspective,” says Wesselhoff. Eppler, for his part, has found a rewarding professional experience at Verde Valley Medical Center, while also enjoying the richness of opportunities in the area. “Sedona and the surrounding area has too many wonderful outdoor opportunities to list,” he says. “It’s simply amazing.” He says he loves biking and running, in addition to skiing in the nearby town of Flagstaff, and enjoying the incredible scenery, culture and restaurants. Traverse City, Michigan, isn’t on the way to anywhere—and that is why people love it. The small city, which has a year-round population of 15,000, boasts an undeniable sense of community. Residents take pride in the area’s stunning beaches, green vineyards, charming downtown district and ample cultural activities. Physicians will find a state-of-the-art nonprofit regional referral center, and families will be welcomed into a friendly, thriving community. Locals of Traverse City, which is located on the shores of Lake Michigan’s Grand Traverse Bay, enjoy a four-season paradise that offers something for everyone. There are opportunities for swimming, boating, fishing, hiking, golfing, skiing and snowshoeing, plus an extraordinary range of dining and wine and beer tasting options. It has a healthy tourism industry that peaks the first week of July, when the National Cherry Festival celebrates Traverse City’s title as Cherry Capital of the World. Traverse City has a small-town vibe with big-city amenities—and residents who care deeply about the area’s heritage, as well as their neighbors. Knaack says she has been passionate about medicine since she was young, though she was momentarily sidetracked with plant physiology and ethnobotanical studies while studying at the University of Michigan. After deciding she wanted to pursue medicine and that she was passionate about the osteopathic discipline, she attended the Arizona College of Osteopathic Medicine at Midwestern University. Afterward, she returned to Michigan and completed her residency at Genesys in Grand Blanc. Though she was not home to Traverse City yet, she did meet her husband, Joel, then an internal medicine resident, during residency. They both took jobs within a large hospital system in Saginaw, Michigan, before deciding to return to Traverse City. When the couple started having children, Knaack knew it was where she wanted to be. “We moved a year and a half ago, and we couldn’t be happier,” she says. During summers, they spend as much time as possible on the beach with their kids, who are 5, 4 and 2. The winter season provides a variety of outdoor activities as well. Knaack also loves her job in part because of the diversity among patients and cases. “Practicing in this community, we draw from such a wide range of areas, and we have folks coming from far reaches of the state,” she says, adding that some patients have not had any type of medical care for many years. That sometimes means Traverse City physicians see and treat rare pathologies. “Folks are under the impression that you only see those ringer cases in big cities, but that has not been my experience,” she says. Munson Medical Center is the only verified Level II trauma center and the only neonatal intensive care unit north of Grand Rapids, which is more than two hours away. The center has 439 beds and the region’s largest medical staff, with over 500 physicians representing 57 specialties. According to Tracey Kukla-Aleshire, manager of physician recruitment at Munson Healthcare, the center has received repeated national recognitions, making the list of 100 Top Hospitals 14 times. It is home to an award-winning heart program and the Cowell Family Cancer Center, and is also designated as a Primary Stroke Center by the Joint Commission, says Kukla-Aleshire. And they are looking for new candidates in dermatology, endocrinology, gastroenterology, neonatology, ophthalmology, psychiatry and more, including subspecialties. 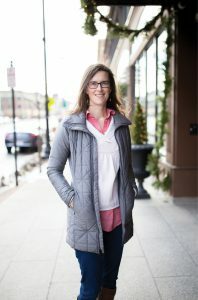 When she introduces candidates to the region, Kukla-Aleshire explains how Traverse City is not only a great place to work, it is also a great place to live—no matter where your recreational interests lie. She also echoes Kukla-Aleshire’s comment about Traverse City offering something for everyone. “I’m amazed that when I say this, I actually mean it. There’s something here for every interest.” Locals and visitors can find year-round adventure and recreation opportunities in Sleeping Bear Dunes National Lakeshore, which was just named the “Most Beautiful Place in America” by Good Morning America. The food and drink scene is not short on accolades, either, having been called one of “America’s Top 5 Foodie Towns” by Bon Appétit. With 40+ wineries and 20 breweries, many featuring craft beers, experiencing the full breadth of Traverse City’s gastronomic delights definitely requires pacing yourself. The ideal growing conditions mean wine and beer offerings proliferate, as do tart cherries, which are featured in the National Cherry Festival, or “the ultimate celebration of Traverse City heritage,” according to Jenness. “There is no shortage of great stuff to do,” says Knaack, adding that because many of her partners have small children as well, activities with colleagues are always centered around family and are kid-friendly. The area’s strong sense of community permeates the hospital environment, too. Pittsfield, Massachusetts, is located in the heart of Berkshire County, a rural mountain region in western Massachusetts. Outdoor adventure, a vibrant economy and the farm-to-table lifestyle are all accessible in this picturesque area, which also offers a low cost of living in comparison to nearby cities like Boston and New York. Physicians are part of the tight-knit medical community, which is always working to innovate and bring new services to the area. Berkshire Health Systems is the parent organization for Berkshire Medical Center in Pittsfield, Fairview Hospital in Great Barrington, the Berkshire Visiting Nurse Association, and numerous Berkshire Medical Center and Fairview physician practices. The practices cover a range of specialties including primary care, orthopedics, surgical services, bariatric surgery, oncology and radiation oncology, endocrinology, gastroenterology, OB-GYN and numerous other disciplines. The Berkshire Medical Center is licensed for 298 beds, and has outpatient clinics and programs throughout the community, including Operation Better Start, which helps children and families prevent and overcome obesity. Community lectures also bring awareness directly to residents, and topics include wellness, cancer prevention and treatment, orthopedic care and treatment, and more. Among other initiatives, a community outreach team also provides free blood pressure screenings. According to Michael Leary, director of media relations at Berkshire Health Systems, the organization has “invested significantly in technology,” and facilities now have state-of-the-art imaging and operating suites, hyperbaric oxygen chambers for wound care, da Vinci robotic technology for urology and gynecologic surgery, a MAKO robotic system for knee and hip replacement, high-speed linear accelerators for cancer patients, and advanced therapeutic endoscopy technology. “One of the benefits of working here specifically is that the health system works to innovate, bringing as many services as possible,” adds Mahan. According to Mahan, Berkshire Medical Center is currently recruiting physicians for its hematology, oncology, orthopedic surgery, internal medicine, rheumatology, dermatology, ER, trauma, acute care surgery and anesthesiology departments. Similar to medical centers across the country, there is also a huge need for internal medicine. Lindsey Schmid, marketing director at 1Berkshire, an economic development organization for Pittsfield and western Massachusetts, cites the high quality of life coupled with the relatively low cost of living as one of the area’s main draws. “You can pay for a house here for what it would cost you to buy a parking spot in New York City,” she says. However, western Massachusetts is still incredibly culturally vibrant, which goes back to the boom it saw during the Gilded Age, when millionaires built their summer homes in the Berkshires. “Today, people come here to be inspired,” says Schmid. “Writers, photographers, artists—they’ll come here to pick up on that history and that energy.” Entrepreneurs, too, are vital to the creative economy, and it is not just food trucks, according to Schmid. Anyone who wants to be creative and make an impact on the community can leave their mark here. Popular attractions include Tanglewood (the summer home of the Boston Symphony Orchestra), the Norman Rockwell Museum, the Massachusetts Museum of Contemporary Art (MASS MoCa), the Gilded Age mansions, and Edith Wharton’s home, the Mount. The region also boasts a farm-to-table lifestyle that, thanks to the bounty of working farms in the area, is an authentic part of daily life in the Berkshires. “We are able to get amazing locally grown organic produce at Berkshire Organics Market, but we get out to the farms, too, to meet the farmers and see where our food is grown as often as we can,” says Opperman. Charleston without the traffic? That’s Beaufort, South Carolina, a charming coastal town located on Port Royal Island, one of the largest Sea Islands. Residents take every chance they can to enjoy the area’s beautiful waterways, and the moderate year-round climate means almost every day can be spent outdoors. Coupled with numerous walking districts, friendly residents and excellent health care, Beaufort is an ideal location for physicians to practice medicine in a patient-first, physician-focused environment, while finding tranquility during off time. 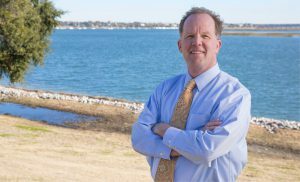 Stephen Larson, M.D., medical director for emergency medicine at Beaufort Memorial Hospital, chose emergency medicine because of his affinity for bringing stability to a situation in chaos. “I like taking something that has fallen apart and restoring order,” he says. One of Larson’s medical school mentors, John Stone, M.D., was an emergency medicine pioneer, shepherding the idea that emergency medicine specialists should be able to treat all emergencies, rather than delaying treatment while waiting for input from consulting specialists. After his residency, Larson joined a local group at a small practice in Berkeley, California, and after 10 years, started to take on leadership within the group. After that, he took an administration-focused leadership position in St. Louis. Because he was at that point affiliated with TeamHealth, the organization that manages Beaufort Memorial Hospital’s emergency department, he was ultimately able to move to his current leadership role. “For 35 years, we’ve provided support services, networks of communication and educational resources, and we’ve brought together a community of thousands of emergency medicine professionals to share and shape best practices,” says Manwah. TeamHealth partnered with Beaufort Memorial in January 2013, and Larson joined in connection with that relationship. When Manwah talks to candidates about life in Beaufort, she is quick to share the variety of cultural offerings, both old and new, that make the small city a wonderful place to live. “Beaufort is filled with many historical mansions,” she says. “Art galleries, antique shops and modern boutiques dot the entire downtown and uptown walking districts, along with fine dining and quick eateries.” Plus, she says, the moderate climate means you can dine al fresco often. Beaufort’s proximity to the Beaufort River, an intercoastal waterway, means locals and visitors alike can always be found enjoying the water. “If you don’t find somebody on the water, they’re trying to get to the water as fast as possible,” says Wells. The annual Beaufort Water Festival celebrates the region’s most beloved natural resource with nightly concerts, air shows and raft races. Food festivals, including a shrimp festival, make summer a highlight. The region’s attractions and atmosphere are particularly great for kids, which is why some people relocate to Beaufort from Charleston once they have a family. Beaufort and Port Royal are also home to three military bases, which train over 20,000 marines each year. While much of the military population is temporarily stationed in the area, others are located there permanently, and Wells says that many military families retire to the area after they transition out of service. And—no surprise—lots of physicians in cooler climates are ready to call Beaufort home.